Currently Pangu 9.3.3 jailbreak works for iOS 9.3.3 and four previous versions. But still there is no way to Jailbreak iOS 9.3.5 which Apple has released on Thursday at a time getting a month completed from previous iOS 9.3.4 announcement. iOS 9.3.5 will likely be the final version of iOS 9 series but will that also be the final jailbreakable version of iOS 9 tread? 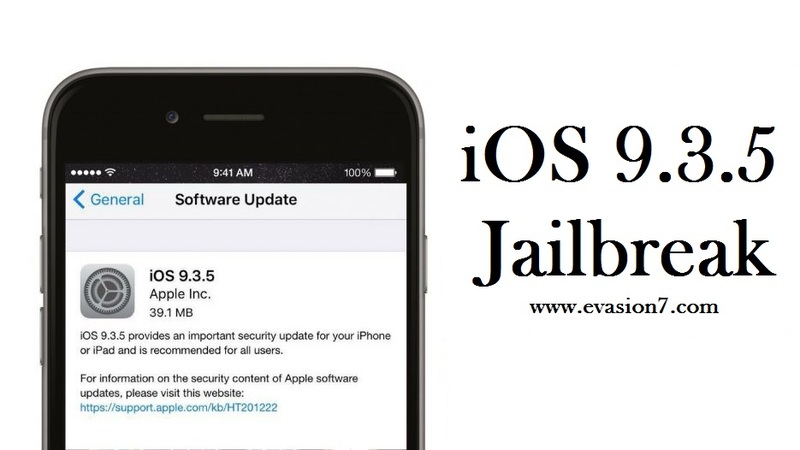 So take a look at the jailbreak updates related to latest iOS 9.3.5 which comes patched with severe security flaws. Just like Apple brought iOS 9.3.4, another update to iOS 9 has added hours back. So now you can download iOS 9.3.5 immediately over the air (Setting > General > Software Update). If not iOS 9.3.5 is also downloadable manually through iTunes. When previous update happen to be around 20MB-80MB, iOS 9.3.5 is weighing just about 40MB. So it can be call a small update which carries important security features for a stable iOS experience. 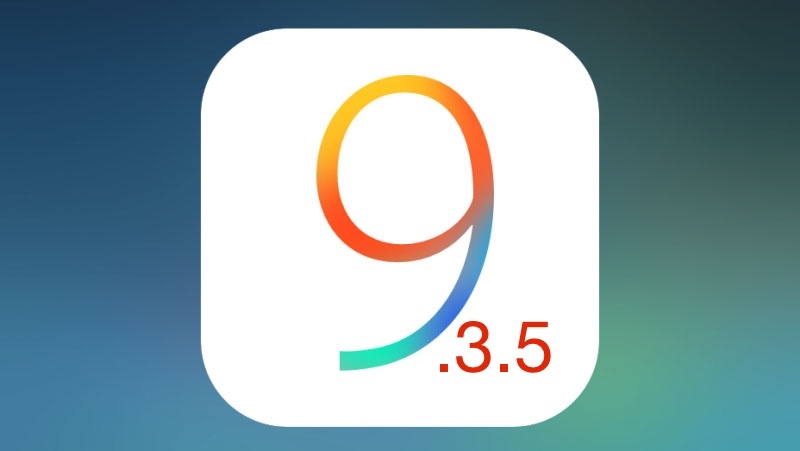 Therefore iOS 9.3.5 will likely be present for a more pleasurable user experience by patching three vulnerabilities that are with serious impact, which were found in iOS 9.3.4 and previous versions. As of now there is a working jailbreak for iOS 9.2-iOS 9.3.3 to work across 64-bit device range. but still there is no jailbreak for both iOS 9.3.4 and iOS 9.3.5 came above iOS 9.3.3. So jailbreakers better stay away from this new firmware updates, as it may stuck you for sometime with no jailbreak. Only days after iOS 9.3.4 release, developer Luca Todesco was clever to announce its jailbreak possibilities and recently it was backed with another senior researcher publishing a video demonstration too. In that way there is still hope for another jailbreak, but it is uncertain whether there will be a chance to hear iOS 9.3.5 jailbreak updates. So all above a little wait is one again needed. Pangu, the team credited for recent Pangu 9.3.3 jailbreak is believed to address final iOS 9 version too with a working jailbreak. But that will only be possible if new vulnerabilities are found. And previous exploits are no use for both these iOS 9.3.4 and iOS 9.3.5 as they come fixed with previous security weaknesses. As Apple stated, iOS 10 is only weeks away from its final release. So Pangu too in a busy time to offer a working iOS 10 jailbreak without a much distant from its release. In that way we doubt whether there will be a chance for Pangu 9.3.5 updates, in fact the chance is absolutely slim. So let us wait to know whether there will be a chance to jailbreak iOS 9.3.5 before iOS 10 arrest the whole crowd. iOS 9.3.5 is a security update but you have to decide whether is is worth enough to give up your jailbreak. And as there is still no way to jailbreak iOS 9.3.5, you have to clearly decide whether to upgrade or keep your current jailbreak. If you follow us, you will be able to collect all important iOS updates as soon as released, so visit us regularly and be one of the first to get updated.